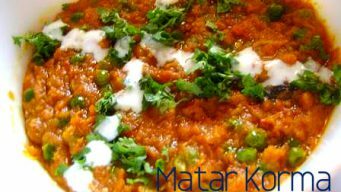 Matar korma is a veg dish made by mixing spicy tadka, also called Kurma, with Matar as its main ingredient. You can add any vegetable or meat, if you like. 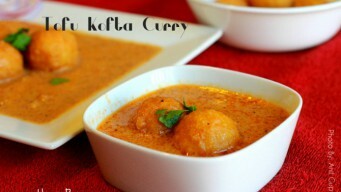 Tofu kofta curry is a high protein sabzi. Step by step pictures for making easily at home. Reduce Oil quantity to make it healthy and low calorie.